We Travelled to Horsham to looked around the shops and had lunch at a lovely little café. The food and coffee were very good. From Horsham we travelled along the Wimmera Highway and stopped at Mount Arapiles. It is well worth the trip for the view from the top with a road taking you most of the way up and a clime of about 150 metres to the lookout. The view goes all the way to the horizon with many lakes dotted over the landscape. We then travelled to Edenhope where we found out where Mary Vale station was located ( I needed to locate this place as I was hopeful of getting some photos of the old buildings there as part of my research into the life of Margaret Jardine (Nee Henry) who died on Albacutya Run in 1866 and is buried at the side of a sandy track. She was married at Mary vale but more on her in the history tab latter. We had passed the station some 25 k back so we went back and found it. The property is no longer the size it once was in acres as it used to take up many square miles of the region, but some of the old buildings from the 1860s are still standing at the homestead site. Most of the original buildings were made from gum slabs cut with an axe. A very large main homestead is still standing also but no longer occupied. On the way back to Rainbow we stopped for dinner at Goroke (nice little hotel with good meals) then drove through Little Desert to Nhill and home to Rainbow. This was a bit of a fact finding trip and there will be more about it along with more photos in a later post in the history tab. Mary Vale station was also noted in history for other reasons about the same time. In 1874 a young woman, her illegitimate daughter, and the man who was paid to marry her, leave Mount Gambier in South Australia to take up a selection in Lubeck, near Murtoa. 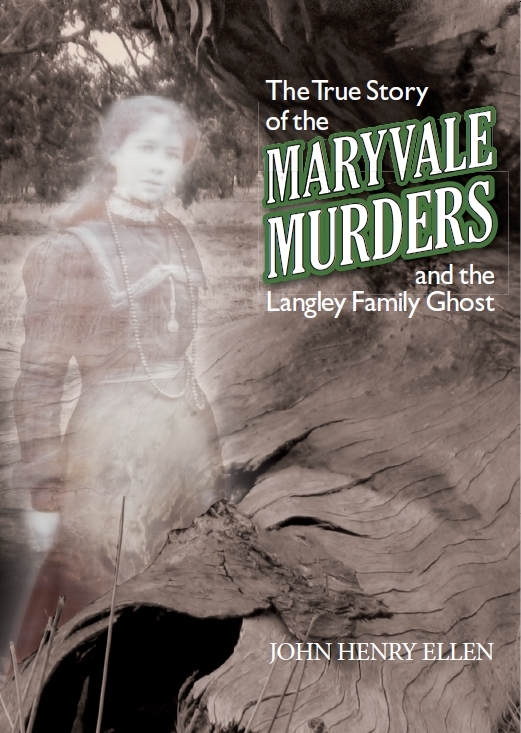 Two days later they are camped on the Maryvale Estate near Edenhope and that is the last that the family are seen until the remains of the young woman and her daughter are discovered ten years later on the property. Where is the husband? Did he murder them and if so why? And was there really a ghost protecting the site where the bodies were buried? This is a true story with remarkable twists and turns, and was one of the greatest murder mysteries in Australian history. This is a book that has been thoroughly researched, and is more than just a murder story. It is a chronicle of the struggle and hardships that our early settlers had to endure, particularly the Langley Family with their seventeen children. The 19th Century was a time when the new colony of Australia was trying to forge an identity, and it was settlers like Charles Langley and his family who worked tirelessly to bring this about. The True Story of the Maryvale Murders is a book that you will not wish to miss! or visit the Edenhope site at.